With Summer coming to a close, you are probably looking to have your last few family dinners outside. 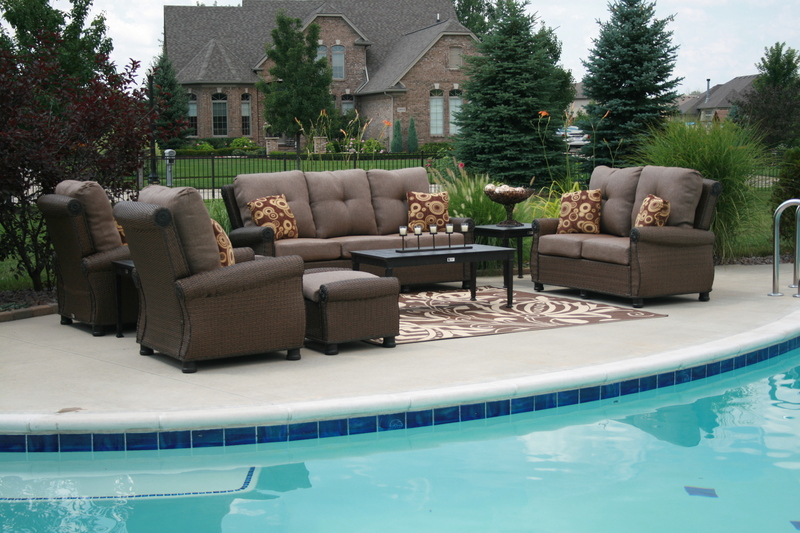 Here are some things you should look for when shopping for outdoor dining furniture sets. How many people normally sit at the dinner table when you have dinner. Are there two, four, six people at your dinner table. Also do you often entertain people? Think size first then material. Popular materials for dining furniture are wood, wrought iron, cast aluminum and stone. 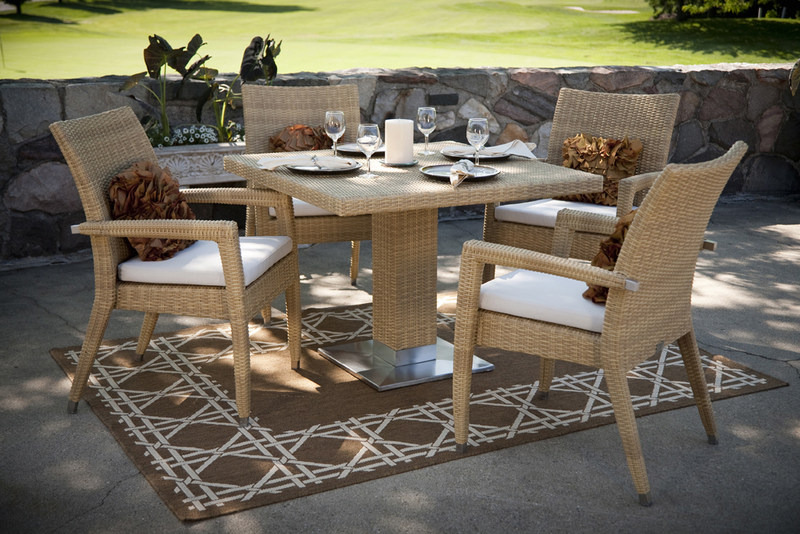 Wood dining sets are going to be less expensive but add a natural beauty to any outdoor area. Wrought iron furniture is heavy, expensive and can provide an rustic or elegant feel to your outdoor space. Stone is expensive, heavy and add a natural and elegant look to a back yard space. Cast aluminum is less expensive, light, durable and comes in an assortment of beautiful styles. All Weather Wicker is always a good choice, it is durable and will look good for years if you invest in the right sets, based on what it is made of. Once you have the size and material for your outdoor dining furniture picked out then take the time to do cost comparison because if you do not than you might pay way too much. Also if you are shopping on the Internet most reputable companies with website offer free shipping on all their products.